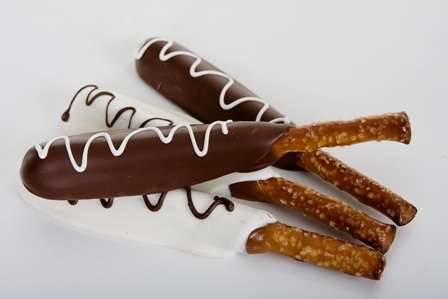 Your guests will love these exquisite Caramel Pretzel Rods. Dipped in caramel and again in your choice of chocolate drizzle combo. 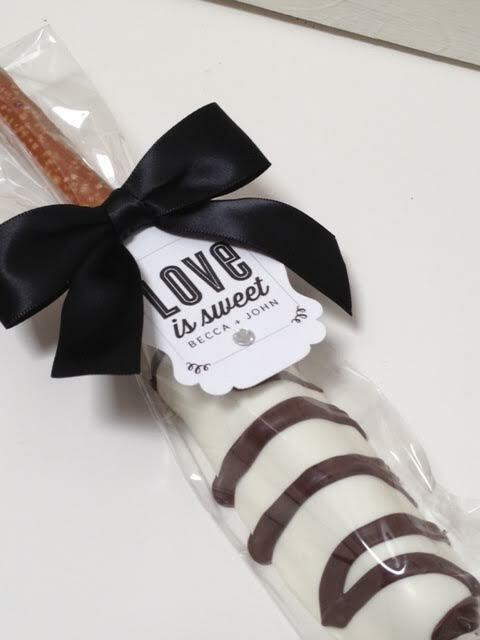 Comes packaged in our high quality cello bags and tied off with a beautiful satin bow and thank you tags. Includes Shipping. Custom tags are an additional .25 each. 24 Order Minimum.